All workshops and most retreats include art. Workshops begin between 9 and 9:30 a.m. At this time, participants may get to know their surroundings, their hosts and instructors as well as each other. A coffee or tea and a snack starts the day before painting class in the studio begins. 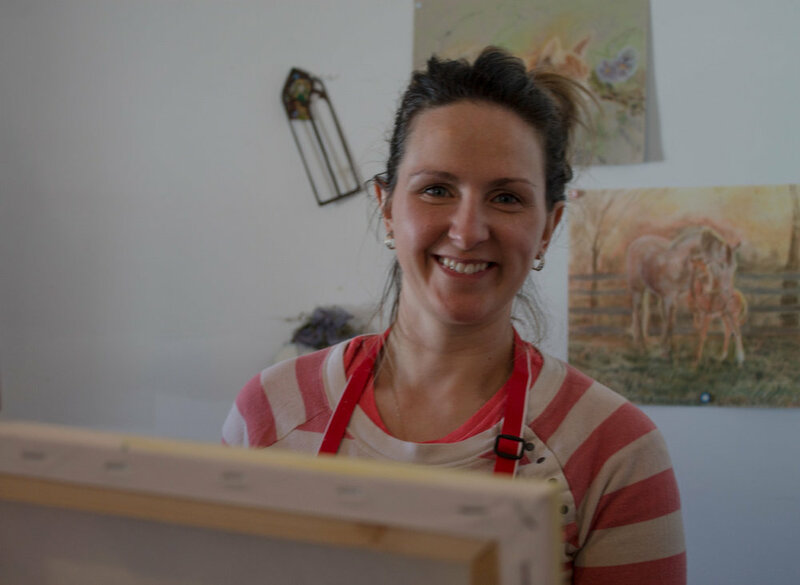 The art instructor will guide participants of all skill levels throughout the class. Encaustic is a method of creating artwork that uses wax to incorporate a variety of mediums such as oil paint, paper, photos, metal or glass. Turning a blank canvas into your own personal art an bring a sense of accomplishment. Then a healthy lunch is served in a relaxed setting in our main house, full of art and antiques. You’ll have a choice of meals according to your diet. Some stretching and short meditation will follow the meal, then everyone heads back to the studio to finish painting and process. The main afternoon activity differs depending on which workshop or retreat you have chosen. Some include yoga or dancing yoga or belly dancing. Others may include meditation, Reiki, life-coaching or energy-healing. An enclosed swimming pool is available for a swim after the afternoon class. Then cap the day off with desert and conversation with fellow participants or take some alone time. The house and grounds are inviting, with plenty of greenspace for a walk or to sit and relax and reflect. While painting t-shirts will be provided, it is advisable to wear something that you don't mind getting paint on. You can also bring something to change into. What kind of music will be played while we paint? To support the creative process, a variety of: epic, world, tribal, meditative and selective pop music will be played. What kind of paints will we use? Acrylic, encaustic, water color depending on the workshop. Will I paint on canvas? Can I paint what I want? Usually we have an artist instructor, you would be able to complete painting that day. When do we get to analyze our own painting? After painting for a half, you will be shown how to analyze your work. This is often seen as the most valuable part of the painting experience as it brings to the surface the deeper meaning of your work. Do I get to take my painting home? 9.30-4.30- this include full healthy lunch, yoga, swim, life coaching, meditation and other activity. Painting, lunch, and swimming will always be included, other activity will be scheduled per workshop. $120.00 - all materials, lunch, and snacks will be included. If you book a private group of 10 people, you get 10% off . Kindly provide two weeks notice. Pending availability. 11 people max per session. Painting materials and painting t-shirts included. However, you are also encouraged to bring old clothing to change into that you don't mind getting paint on.